Ex Fabula Fellows are community members who use personal stories to inspire community-led dialogue around some of the most pressing issues in the Greater Milwaukee area–segregation and economic and racial inequality. Read Rochelle’s blog about her experience as a Fellow. For 2018-19, we will not host a new cohort of Fellows; you can let us know if you’d like to hear about future cohorts here. We are presenting several Fellowship events in partnership with local schools, businesses, and community groups. These events will feature the 50+ Fellows from the previous three cohorts. Please contact us if you’re interested in hosting an event! Why is a storytelling group focusing on race and equity? Milwaukee is the country’s most segregated urban area; Wisconsin is the worst state at protecting African American children, the place that incarcerates the highest percentage of African American men, and more. In order to strengthen community bonds, we need to explore the things that divide us. Scientific research shows that storytelling has the unique ability to meaningfully connect people and create the conditions for empathy. Here are some of the great things that were written about the Fellowship! “Race, health and housing dominate discussion at Ex Fabula event”, article by Talis Shelbourne in Milwaukee Neighborhood News Service. “Community Event Discusses Handling Topics of Race and Segregation with Children”, article by Evan Thomas Casey in the Shepherd Express. “On the Record”, Milwaukee Record’s podcast. Megan McGee and Leah Delaney talk about Ex Fabula and the Fellowship. 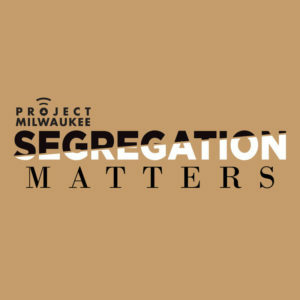 Fellow stories were featured in a segment on WUWM 89.7’s Project Milwaukee: Segregation Matters series in March 2017. This story was produced in association with Wisconsin Life, a program of Wisconsin Public Radio and Wisconsin Public Television. It aired around the state of Wisconsin in February 2017. This story was published in Humanities Booyah, an online magazine dedicated to the public humanities. Take Harvard University researchers’ online tests to explore subconscious bias. Click “I wish to proceed” and then select a test such as “Race” or “Skin tone”. Thank you to all the prior funders of the Fellowship! Thanks as well to the Zeidler Center for Public Discussion, our partner for many interactive outreach performances.